Next month Novatek’s shareholders will vote to approve the terms of major loans from Sberbank and Gazprombank for the Yamal LNG project. The project has so far been receiving funding only from Russia, even though Novatek has promised that it will attract foreign credit in the upcoming months. 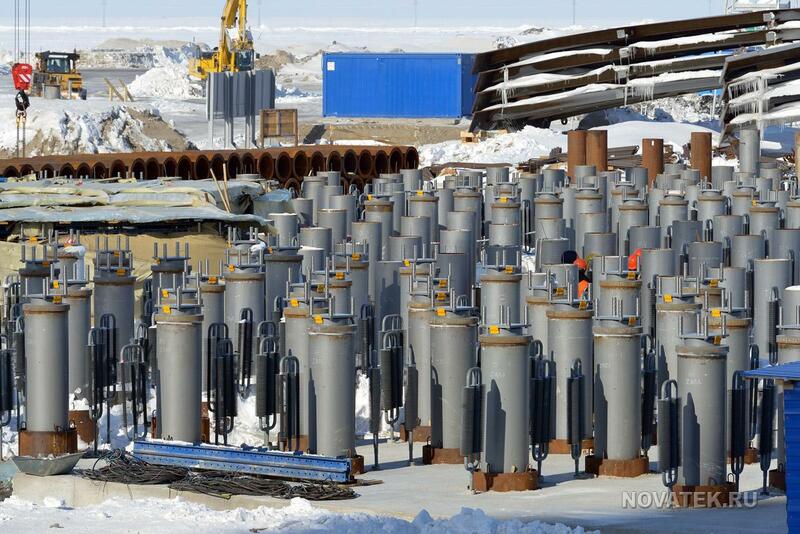 Chinese banks are unlikely to finance the Yamal Liquefied Natural Gas (LNG) project, sources told Kommersant. Financial institutions in China are wary of getting involved with the project, as its operator Novatek is a target of U.S. sanctions. Novatek is likely to seek more financing from Russian banks. On April 22 Novatek will ask its shareholders to approve “a large deal that is of interest to the company.” Novatek officials told Kommersant that the deal concerns loans worth 3.6 billion euros for Yamal LNG from Sberbank and Gazprombank, which last year said they were willing to give the project loans of 3 billion euros and 1 billion euros, respectively. The banks refused to comment. Shareholders who do not agree with the terms and conditions of the loans will be allowed to sell their shares for 571 rubles a piece. The Yamal LNG project involves the construction of a gas liquefying plant near the Yuzhno Tambeiskoye deposit. The plant will have a capacity of 16.5 million tons of LNG a year. Its launch is scheduled for 2017 and its projected capacity is expected to be reached in 2021. Yamal LNG's shareholders have been looking for external financing for almost two years, but U.S. sanctions on Novatek have kept foreign banks away. For now the project has been financed almost entirely by the shareholders, who as of the end of February had invested $12.5 billion. The China Development Bank and China Eximbank promised to lend the project $12 billion, but sources familiar with the situation say that the Chinese are afraid of sanctions. However, credit from Russian state banks will solve Yamal LNG's financing problems for this year and, if necessary, will help the project go on without foreign financing in the future as well.